We’re noticing a real shift in people’s approach to thinking about and buying furniture — moving away from mass-produced, disposable furniture towards reclaimed or ethically-sourced, handcrafted furniture. And Jack Auld, founder and craftsman behind Auld Design, is passionate about creating furniture that fits perfectly in your space and will last a lifetime. He’s with us today to share his passion and story. I’m inspired by mid-century design. I have always really liked the style as well as Danish design, and have put my own contemporary spin on those designs using Australian hardwoods. “Using reclaimed timber whenever possible goes with our philosophy of creating sustainable furniture that’s built to last and can be handed down to next generations — I love the history and story of that. 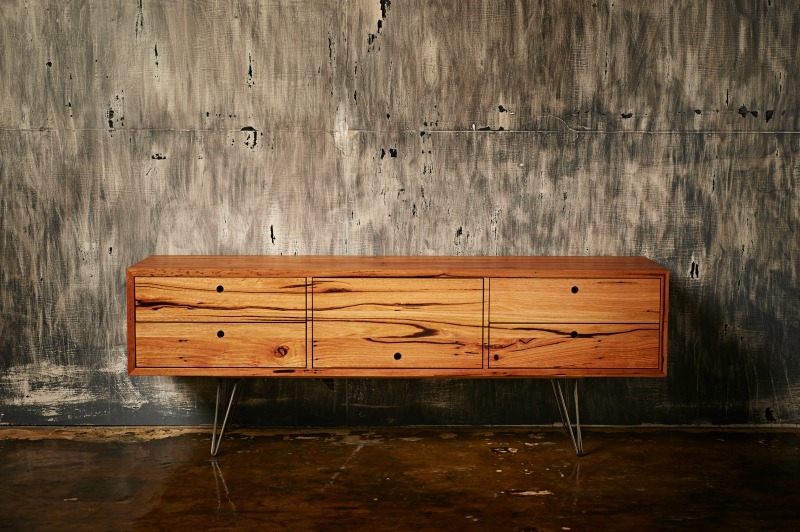 Jack worked with timber for over 15 years, as a furniture maker and joiner in Australia and the United Kingdom, before deciding to launch Auld Design in 2010. “When I was young we had a small side table in our hall that my grandfather made. It had a curved edge detail on top and a single draw with perfect dovetails. “His love of woodworking really inspired me and made me want to create beautiful and timeless pieces that would be loved for generations. “About five years ago I had a child and it was a good opportunity to start my business. As the kids have grown, so has the business. Do you have a favourite project or what has been a highlight for you since launching Auld Design? It’s really satisfying when you conceptualise an idea, design it and then create the piece — that process of seeing your designs come to life is what I love most. “Sometimes I surprise myself with how good they come up,” laughs Jack. All of your work is bespoke but do you mainly create for residential or are you also branching out into commercial work? “I’m open to anything,” says Jack. “Our business is still growing and each month I’m learning something new about running a small business. “I’m trying to balance our focus of being a highest quality custom furniture maker with being a business owner who can pay the bills. All pieces are personally designed, sourced and produced by Jack from beginning to end at his workshop near Geelong. 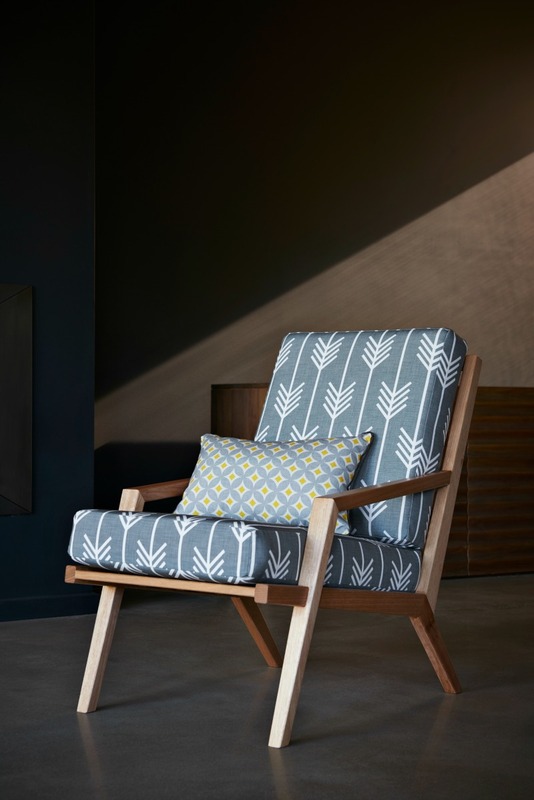 You can find out more about Auld Design on their website or connect with them on Instagram. Such a talented maker, thanks for sharing! We love sharing the story of Australian makers and artists! 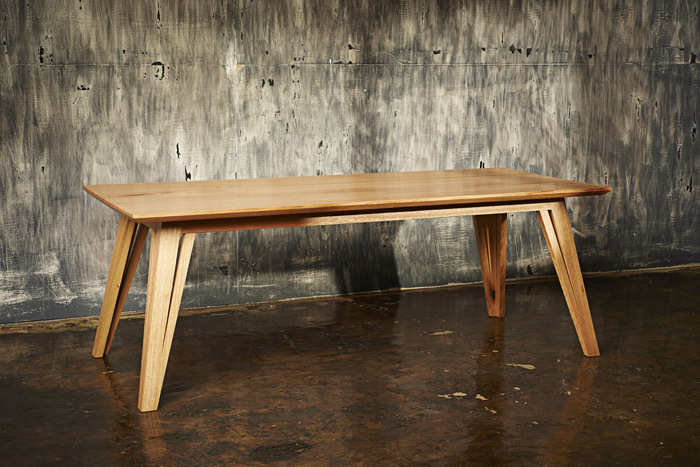 Oh wow – beautiful furniture. And love, love the vanities on his website. He’s certainly talented, we love his work!